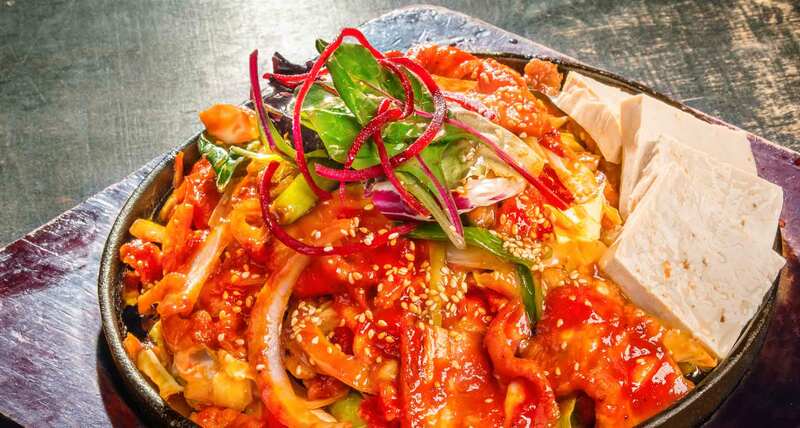 There are too many great meat dishes in the Korean cuisine to pick our favourite, but this stir-fried marinated pork belly and vegetables with hearty and spicy sauce is definitely in our top five. There’s no better way to describe our House Special Spicy Pork Belly (a.k.a 삼겹살 두루치기) than being dangerously delicious. Bring your loved ones and wow them with melt-in-your-mouth succulent pork belly, crispy crackling and flavours to die for. All sound delicious! Click HERE to check out SURA versions of mouthwatering House Special Spicy Pork Belly on our awesome menu!